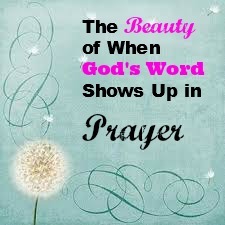 God showed up so beautifully in my prayer last night, that I just have to share! It is better to go to a house of mourning than to go to a house of feasting, for death is the destiny of everyone; the living should take this to heart. Ecclesiastes 7:2 NIV. I doubt many would agree. Really, who would prefer to go to a funeral home instead of out to eat with friends? Still, Solomon insisted. He said this because just like it is today, people in general, live toward the “house of feasting”. We are constantly thinking about what restaurant we are going to try next…what movie we are going to see this weekend…where we are going to take our next vacation, and so on, and so on, AND so on…BUT when it comes time for a visitation at the funeral home, we then begin to think less about ourselves, and more about eternal things. We become SERIOUS, and it is that mindset that un-spoils us from all of the running, doing and playing we are accustomed to, and prepares our mind for prayer. In my workshops I challenge the participants to determine their “house of mourning” that they can enter into as they begin to take their petitions to God. Some translations of 1 Peter 4:7 use the term “clear-minded”. A serious mind is a clear-mind, and that is exactly what we need when we are trying to pray through serious matters. I’ve said this in an earlier post – my “house of mourning” has two little twin boys in it. They were once in the foster care with a family from my church. I loved them so dearly, and wanted to adopt them since their parent’s rights were being severed, but that was not God’s plan. Through a series of events and scriptures, God was telling me that I could not have them at that point in time. My soul was vexed and continues to be grieved over them to this day. So, in my time of formal prayer, they are my “house of mourning”. I pray for them with a burdened heart-such unimaginable abuse and neglect they have suffered. After praying diligently for them, I move on to the other matters on my prayer list, with a truly serious heart. What would you say is your “house of mourning”? As I was praying for the twins last night, I focused on my desire for them to be healed mentally and emotionally. 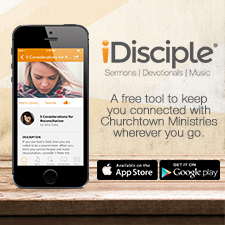 It was then when God reminded me that it is He Who renews minds (Romans 12:2, 2 Cor. 5:17; Ephesians 4:22-24; Titus 3:5), and only HE can do that. Because God was speaking this to me, I grabbed that thought and held on to it like a life preserver for these two boys. I believe God was telling me that He will renew their minds which is paramount to their journey of healing. Why else would He reveal this truth to me at this particular moment of prayer if that truth is not going to true for them? I felt so encouraged, and not only for the twins, but also for others on my list who need a touch from God. Last night I was also going to pray over a couple of other’s serious issues where mental and emotional problems exist and are destroying people, marriages and childhoods. Only God Can Renew the Mind of the devastated! I believe it, and I trust Him to do it – AMEN. 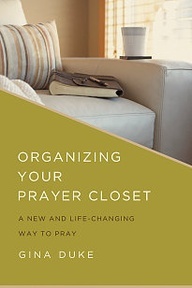 10 Things You Will Love about Organizing Your Prayer Closet!